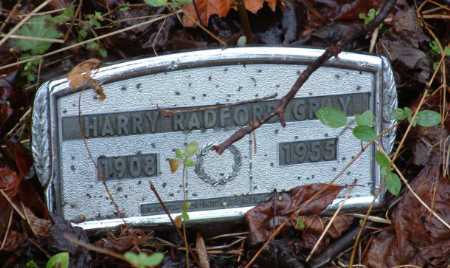 Harry Gray was my grandfather. I never been to his grave. I would like go see his grave sometime. Thank You for posting the picture. the name is rex and betty sallings, not nancy. alot of years has past by memory slipped a little. nancy would be your aunt. there is a picture of haywood grays store on this web site, most of the people in the picture are your family. my email is jajofaw@mounet.com let me know if you are dons daughter. i knew your grandmother nell gray. if don gray is your dad i know you too. we played together as kids at nells home. im frankie. i know where your grandfather is buried. he is buried behind rex and nancy sallings home.nancy is your cousin. is martha your aunt? if so she can tell you alot.